2.1 a reference to a person is a reference to one or more individuals, whether or not formally in partnership, or to a corporation, government body, or other association or organisation. 2.2 these terms and conditions apply to all supplies of Goods by us to any customer. They prevail over any terms proposed by you. 2.3 any agreement by any party not to do or omit to do something includes an obligation not to allow some other person to do or omit to do that same thing. 2.4 Except where stated otherwise, any obligation of any person arising from this agreement may be performed by any other person. 2.5 in this agreement references to a party include references to a person to whom those rights and obligations are transferred or passed as a result of a merger, division, reconstruction or other re-organisation involving that party. 2.6 the headings to the paragraphs and schedules (if any) to this agreement do not affect the interpretation. 2.7 a reference to an act or regulation includes new law of substantially the same intent as that act or regulation. 2.8 in any indemnity, a reference to costs or expenses shall be construed as including the estimated cost of management time of the indemnified party, such cost calculated $100 per hour. 2.9 these terms and conditions apply in any event to you as a buyer or prospective buyer of our Goods and so far as the context allows, to you as a visitor to Our Website. 2.10 this agreement is made only in the English language. If there is any conflict in meaning between the English language version of this agreement and any version or translation of this agreement in any other language, the English language version shall prevail. 3.1This agreement contains the entire agreement between the parties and supersedes all previous agreements and understandings between the parties. 3.2Each party acknowledges that, in entering into this agreement, they do not rely on any representation, warranty, information or document or other term not forming part of this agreement. 3.3If you use Our Website in any way and make an order on behalf of another person you warrant that you have full authority to do so and you accept personal responsibility for every act or omission by you. 3.4Because we rely on our suppliers, we do not guarantee that Goods advertised on Our Website are available at the time of order. 3.5We may change these terms from time to time. The terms that apply to you are those posted here on Our Website on the day you order Goods. 3.6The price of Goods may be changed by us at any time. We will never change a price so as to affect the price charged to you at the time when you buy those Goods. 3.7If in future, you buy Goods from us under any arrangement which does not involve your payment via Our Website; these terms still apply so far as they can be applied. 3.8 We do not sell the Goods in all countries. We may refuse to deliver the Goods if you live in a country we do not serve. 4.1Your order is an offer to buy from us. Nothing that we do or say will amount to any acceptance of that offer until we actually dispatch the Goods to you. At any point up until then, we may decline to supply the Goods to you without giving any reason. 4.2If your order is accepted, you will be notified by e-mail confirmation. That is when our contract is made. Our message will also confirm details of your purchase and tell you when we shall despatch your order. 4.3.1accept the alternatives we offer. 4.3.1cancel all or part of your order. 5.1The price payable for the Goods that you order is clearly set out on Our Website. 5.2It is possible that the price may have increased from that posted on Our Website. If that happens, we will not despatch the Goods until you have confirmed that you wish to buy at the new price. 5.3Prices include goods and services tax (“GST”). If you show by your delivery address that you reside outside the Commonwealth of Australia, we will refund to you the amount charged as GST. 5.4If the item you order is available in parts, you must pay us the full price of your order before we will send any part of it. 5.5Bank charges by the receiving bank on payments to us will be borne by us. All other charges relating to payment in a currency other than Australian dollar will be borne by you. 5.6Any information given by us in relation to exchange rates are approximate only and may vary from time to time. 5.7If, by mistake, we have under-priced Goods, we will not be liable to supply that those Goods to you at the stated price, provided that we notify you before we dispatch it to you. 5.8The price of the Goods does not include the delivery charge which will be charged at the rates applicable at the date you place your order and which will be displayed on a page of Our Website before we ask you to pay. 5.9If we owe you money (for this or any other reason), we will credit your credit or debit card as soon as reasonably practicable but in any event no later than 15 days from the date when we accept that repayment is due. 6.1 Card payments are not processed through pages controlled by us. We use one or more online payment service providers who will encrypt your card or bank account details in a secure environment. 6.2 If you have asked us to remember your credit card details in readiness for your next purchase or subscription, we respectfully decline your offer. 7.1 All attempts to deliver Goods in Australia within 30 days from the day you place an order to purchase the Goods, will be made. 7.2 Deliveries will be made by the Carrier to the address or agent of the address (Australia Post Office) stipulated in your order. You must ensure that someone is present to accept the delivery. 7.3 If we are not able to deliver your Goods within 30 days of the date of your order, we shall notify you by e-mail to arrange another date for delivery. 7.4 We may deliver the Goods in instalments if they are not all available at the same time for delivery. 7.5 Goods are sent at our risk until signed for by you or by any other person at the address you have given to us. 7.6 All Goods must be signed for on delivery by an adult aged 18 years or over. If no one of that age is at the address when the delivery is attempted the Goods may be retained by the driver. When your Goods arrive, it is important that you check immediately the condition and quantity. If your Goods have been damaged in transit, you must refuse the delivery and immediately contact us so that we may dispatch a replacement quickly and minimise your inconvenience. 7.7 Signing “Unchecked”, “Not Checked” or similar is not acceptable. 7.8 Goods are sent by post. We will send you a message by email to tell you when we have despatched your order and provide a tracking number where available. 7.9 If we agree with you to deliver on a particular day or at a particular time, we will do our best to comply. But no time given is to be treated as contractual. So we are not liable to you for any expense or inconvenience you incur on account of delayed delivery or non-delivery. 7.10 Some Goods will be delivered direct from the manufacturer who will contact you to arrange delivery. When delivery of the Goods has been arranged directly with the manufacturer, you will be subject to the manufacturer’s delivery policy. 7.11 Some Goods are so large and heavy that delivery times may be slightly longer. In this case, approximate delivery dates will be given when you place your order. 7.12 Time for delivery specified on the order, if any, is an estimate only and time shall not be of the essence. 7.13 We are happy for you to pick up Goods from our shop/ warehouse provided you make an appointment in advance and payment has been received into our bank. 7.14.1 we will be able to assist you in loading heavy items. 7.14.3you agree that you are responsible for everything that happens after you take possession of the Goods, both on and off our premises, including damage to property of any sort, belonging to any person. 8.1If you are not in the Commonwealth of Australia, we have no knowledge of, and no responsibility for, the laws in your country. 8.2You are responsible for purchasing Goods which you are lawfully able to import and for the payment of import duties and taxes of any kind levied in your country. 9.1.3you have returned the defective Goods or parts to us if we have so requested. 9.2If we agree that we are liable, we will refund the cost of return carriage and will repair or replace the Goods free of charge. 9.3If we repair or replace the Goods, you have no additional claim against us either under this agreement or by statute or common law, in respect of the defect. 10.1We do not accept returns unless there was a defect in the Goods at the time of purchase, or we have agreed in correspondence that you may return them. 10.2Before you return the Goods to us, please carefully re-read the instructions and check that you have assembled it correctly and complied with any provisions relating to the power supply, plugs and sockets. 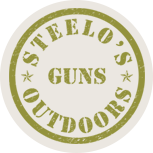 10.3The Goods must be returned to us as soon as any defect is discovered but not later than 15 days, unless under agreement, and acknowledged in Email or writing by the Manager or owner of Steelos Guns And Outdoors. 10.4.4at your risk and cost. 10.5You must tell us by email message to [email protected] or phone call that you would like to return Goods, specifying exactly what Goods and when purchased, and giving full details of the defect or other reason for return. 10.6Please note in particular that we cannot deal with your complaint unless you return the entire Goods that you bought: that is to say, with all components and parts and in the original packaging. 10.7In returning faulty Goods please encloses with it a note clearly stating the fault and when it arises or arose. 10.8Most of the Goods are covered by the manufacturer’s guarantee for a minimum of 12 months. Please first check the plug, fuse, batteries and the manufacturer’s operating instructions. 10.9If delivery was made to Australian address, you are also protected by the Competition and Consumer Act 2010. 10.10.2repair or replace the Goods as we choose. 11.1The law differs from one country to another. This paragraph applies so far as the applicable law allows. 11.2All the conditions, warranties or other terms implied by the law of any county other than the Commonwealth of Australia are excluded from this agreement to the extent permitted by law. 11.3We or our Content suppliers may make improvements or changes to Our Website, the Content, or to any of the Goods, at any time and without advance notice. 11.4You are advised that Content may include technical inaccuracies or typographical errors. This is inevitable in any large website. We would be grateful if you bring to our immediate attention, any that you find. 11.6We are not liable in any circumstances for special, indirect or consequential loss or any damages whatsoever resulting from loss of use, loss of data or loss of revenues or profits, whether in an action of contract, negligence or otherwise, arising out of or in connection with your use of Our Website or the purchase of Goods. 11.7Except in the case of liability for personal injury or death, our liability under this contract is limited, to the maximum extent permitted by law, to the value of the Goods you have purchased. 12.1You agree that you have provided, and will continue to provide accurate, up to date, and complete information about yourself. We need this information to provide you with the Goods. 12.2If you use Our Website, you are responsible for maintaining the confidentiality of your account and password and for preventing any unauthorised person from using your account. 12.3You agree to accept responsibility for all activities that occur under your account or password. You should tell us immediately if you believe some person has accessed your account without your authority and also log in to your account and change your password. 13.2consist in commercial audio, video or music files. 13.3be illegal, obscene, offensive, threatening or violent. 13.4be sexually explicit or pornographic. 13.5be likely to deceive any person or be used to impersonate any person, or to misrepresent your identity, age or affiliation with any person. 13.6give the impression that it emanates from us or that you are connected with us or that we have endorsed you or your business. 13.7solicit passwords or personal information from anyone. 13.8be used to sell any goods or services or for any other commercial use. 13.9include anything other than words (i.e. you will not include any symbols or photographs) except for a photograph of yourself in your profile in such place as we designate. 13.10link to any of the material specified above, in this paragraph. 13.11send age-inappropriate communications or Content to anyone under the age of 18. 14.1hyperlinks, other than those specifically authorised by us. 14.2keywords or words repeated, which are irrelevant to the Content Posted. 14.3the name, logo or trademark of any organisation other than yours. 14.4inaccurate, false, or misleading information. 15.2If you Post Content to any public area of Our Website it becomes available in the public domain. We have no control who sees it or what anyone does with it. 15.3Even if access to your text is behind a user registration it remains effectively in the public domain because someone has only to register and log in, to access it. You should therefore avoid Posting unnecessary confidential information. 15.4We need the freedom to be able to publicise our Services and your own use of them. You therefore now irrevocably grant us the right and licence to edit, copy, publish, distribute, translate and otherwise use any Content that you place on Our Website, in public domains and in any medium. You represent and warrant that you are authorised to grant all such rights. 15.5We will use that licence only for commercial purposes of the business of Our Website and will stop using it after a commercially reasonable period of time. 15.6You agree to waive of your right to be identified as the author and your right to object to derogatory treatment of your work as provided in the Copyright Act 1968. 15.7You now irrevocably authorise us to publish feedback, comments and ratings about your activity through Our Website, even though it may be defamatory or critical. 15.8Posting content of any sort does not change your ownership of the copyright in it. We have no claim over it and we will not protect your rights for you. 15.9You understand that you are personally responsible for your breach of someone else’s intellectual property rights, defamation, or any law, which may occur as a result of any Content having been Posted by you. 15.10You accept all risk and responsibility for determining whether any Content is in the public domain and not confidential. 15.11Please notify us of any security breach or unauthorised use of your account. 15.12We do not solicit ideas or text for improvement of our Service, but if you do send to us material of any sort, you are deemed to have granted us a licence to use it in the terms set out at sub paragraph five above. 16.1For the avoidance of doubt, this paragraph is addressed to any person who comes on Our Website for any purpose. 16.2We are under no obligation to monitor or record the activity of any customer for any purpose, nor do we assume any responsibility to monitor or police Internet-related activities. However, we may do so without notice to you and without giving you a reason. 16.3.1Your claim or complaint must be submitted to us in the form available on Our Website, or contain the same information as that requested in our form. It must be sent to us by post or email. 16.4We may re-instate the Content about which you have complained or not. 16.5In respect of any complaint made by you or any person on your behalf, whether using our form of complaint or not, you now irrevocably grant to us a licence to publish the complaint and all ensuing correspondence and communication, without limit. 16.6You now agree that if any complaint is made by you frivolously or vexatiously you will repay us the cost of our investigation including legal fees, if any. 17.1modify, copy, or cause damage or unintended effect to any portion of Our Website, or any software used within it. 17.2link to Our Website in any way that would cause the appearance or presentation of the site to be different from what would be seen by a user who accessed the site by typing the URL into a standard browser. 17.3download any part of Our Website, without our express written consent. 17.4collect or use any product listings, descriptions, or prices. 17.5collect or use any information obtained from or about Our Website or the Content except as intended by this agreement. 17.6aggregate, copy or duplicate in any manner any of the Content or information available from Our Website, other than as permitted by this agreement or as is reasonably necessary for your use of Our Website. 17.7share with a third party any login credentials to Our Website. 17.8Despite the above terms, we now grant a licence to you to. 17.8.1create a hyperlink to Our Website for the purpose of promoting an interest common to both of us. You can do this without specific permission. This licence is conditional upon your not portraying us or any product or service in a false, misleading, derogatory, or otherwise offensive manner. You may not use any logo or other proprietary graphic or trademark of ours as part of the link without our express written consent. 17.8.2you may copy the text of any page for your personal use in connection with the purpose of Our Website. 18.1your failure to comply with the law of any country. 18.2your breach of this agreement. 18.3any act, neglect or default by any agent, employee, licensee or customer of yours. 18.4a contractual claim arising from your use of the Goods. 18.5a breach of the intellectual property rights of any person. 19.1We will defend the intellectual property rights in connection with our Goods and Our Website, including copyright in the Content whether provided by us or by any other content provider (including copyright in text, graphics, logos, icons, images, audio clips, digital downloads, data, and software). 19.2Except as set out below, you may not copy, modify, publish, transmit, transfer or sell, reproduce, create derivative works from, distribute, perform, display, or in any way exploit any of the Content, in whole or in part.